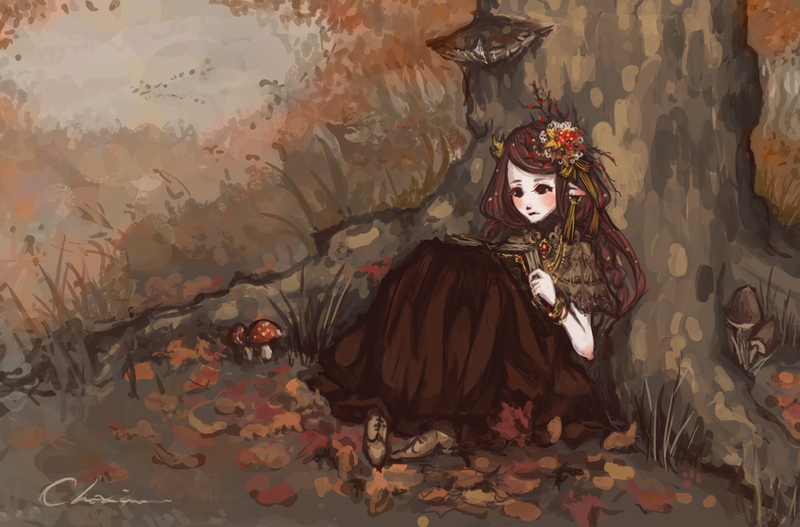 CONTEST: Draw your personification of what Mother Nature looks like in Autumn! 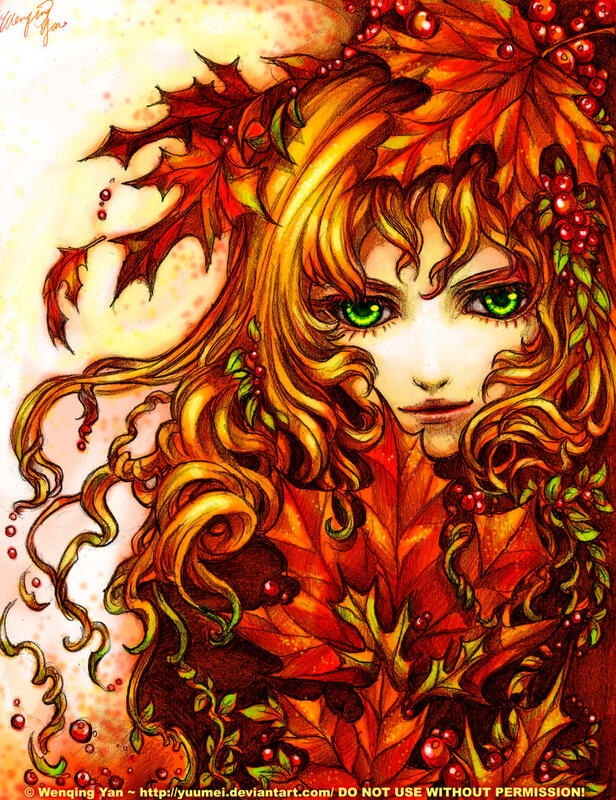 Theme: The autumn Equinox is revered across the world as we shift from one season to the next. 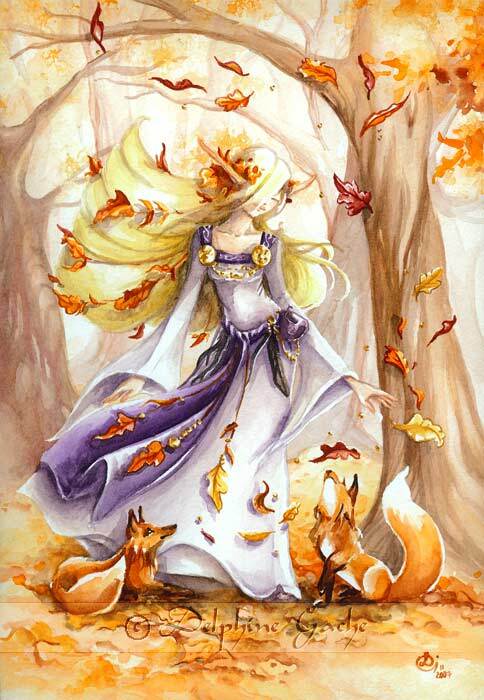 In ages past, Mother Nature was worshiped for her ability to bring about the cool season of Autumn out of sunny Summer. She is a goddess clothed in the colors of the seasons and with an image as limitless as your imaginations. - There is no such picture, drawing, or image that dictates exactly what Mother Nature looks like. She can have wings, or she won't. She may look young or old, long hair, short hair, etc. Take as much liberty as you like in designing Mother Nature, she'll be proud either way you depict her. - Although it is Autumn, and the days are slowly getting shorter, it's not quite Winter yet and the sun still plays a key role. Lighting can really bring out a character, and put them to life and though it's a difficult skill, it's one worth practicing for sure. 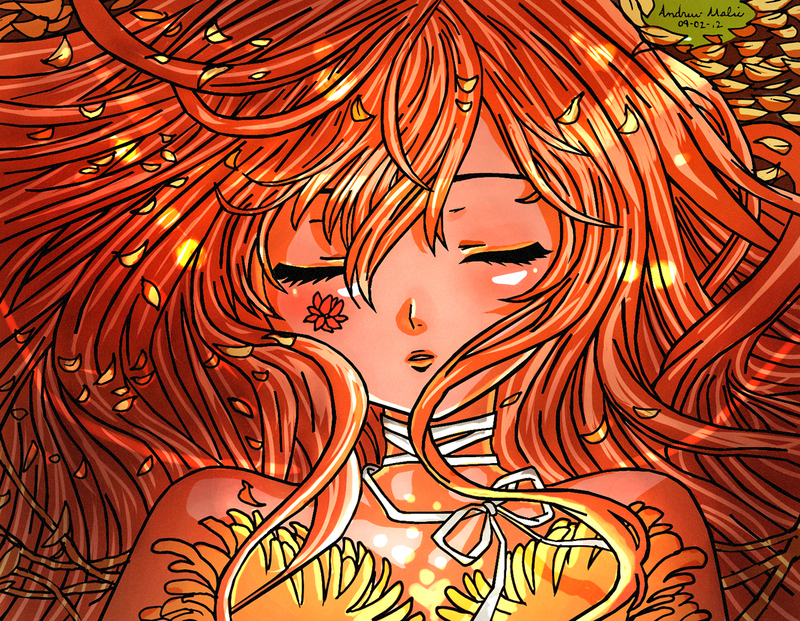 - This contest will accept all entries dealing with your personifications of Mother Nature! - There is no limit on OC/family/friend amounts in the picture. However, be sure to make Mother Nature the centerpiece, the contest is about her after all! With unlimited possibilities to explore the look of Mother Nature, angel88 utilizes warm colors and the very nature of Autumn itself to express a very well-done portrayal of our goddess in her natural habitat. That is so beautiful!!! It's so worth the 8 hours. I might join the Halloween contest. Buuuuhhhhhhhhhh. I am not sure if we have time for a Halloween contest since it is so close...we will have to cut straight to the poll immediately after this weekend, and it would be the closest contest after the last contest we have ever had. The public may not have time to give their Halloween ideas. The staff may have to make it for you guys. Would you still want a Halloween contest though? ;____; We may not have a Halloween contest after all...we have too little time. Bah, well, Christmas contest! I was thinking of that, but I wondered how exciting we could make Thanksgiving, which includes themes of food, turkey, and...turkey. A Thanksgiving dinner also includes a good Fall harvest, and we already gave users a chance to try their skills at Fall-related art. I was thinking of another November holiday. Hows about Sandwich Day, lol? We could ask around our profiles on what type of November holiday the FAC artists want to celebrate and draw for. I could also set up a forum post requesting sole contest ideas. That would be a good idea. What type of other November holiday would you be interested in hosting a contest for? Sure I was planning on drawing my beyblade oc Victoria and Tsubasa as in halloween costume I have that plan from the very beginning and I'm going to draw it this week. You guys forgot about this didn't you!! haha, sorry, school's been ridiculous. It'll be up soon! An the winning pic is!? Scores for this contest are slowly becoming finalized! We will most likely have the winner out by the end of this week! Sorry it is taking so long (midterms, homework, life). From my numbers, we do have a definite winner though. I will give you guys a hint. The winner could start with an "a." Anyways my personal favourite starts with that "a". Holy f****** sh*t so many amazing entries. You do not know that! Yours has some high levels of creativity! We will most likely get you the scores by this weekend! WHY ARE YOU MAKING IT SO HARD FOR US JUDGES TO CHOOSE DO YOU HATE US? !